What's the Price for the 2019 Volvo XC40? How Many MPG Does the 2019 Volvo XC40 Get? Volvo has reached a significant moment in the automotive industry with designing the XC40. Today, many of their buyers are premium-minded and more technically knowledgeable. Volvo has a large volume of repeat customers who have relied upon the automaker for decades; therefore, the XC40 fits perfectly in their evolvement through life with growing families and career advancements. For many of them, it's been a generational continuance of purchasing a Volvo. 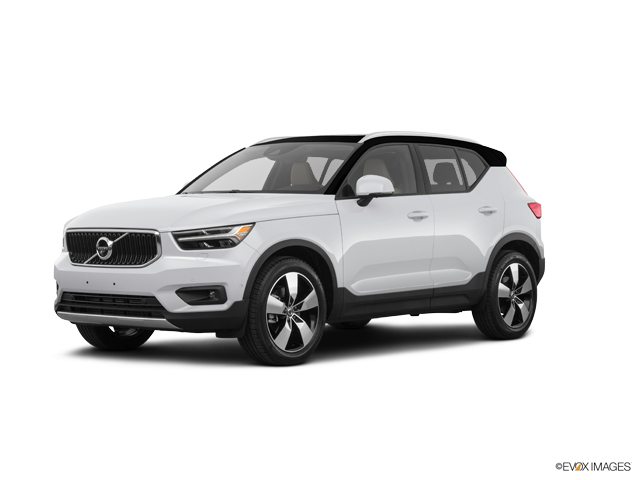 The all-new 2019 XC40 has provided an extraordinary opportunity for you to continue a lifestyle that represents a high-achieving level of success. With a modern Scandinavian design, the XC40 has a care-free appearance that only proves that you make choices on your own terms. The XC40 was designed with everything in mind for today's free-thinker! The exterior of the XC40 is where the SUV really sets itself apart from others. The angled grill and large stylish alloy wheels, with a wheelbase of 106.4 inches, show the boldness of the XC40. There are plenty of vivid colors to choose from and customize a unique interior. The interior has a wide variety of stylish accents that include precise diamond-cut details, unique décor inlays and exciting high-energy color choices, such as vibrant Oxide Red. The cabin was completely designed around intuitive technology, which today's Volvo buyer knows all about. The Scandinavian craftsmanship provides the opportunity for creating your very own style to fit your personality. Choose the panoramic moonroof for your XC40 and you can enjoy the interior, even more, and so can your passengers. The XC40 has the largest panoramic moonroof of any other vehicle in its class and extends to the back seat. The moonroof is laminated to bring in all the sunlight and moonlight, but it also comes with a power shade to assist in regulating the interior temperature. With the panoramic moonroof, you also get high-level soundproofing to create a quieter ride and it also contributes to a higher level of security for the interior of the XC40. The dimensions of the interior of the XC40 are 39 inches of headroom in the front, 39.1 inches of headroom in the rear, 56.7 inches of shoulder room in the front, and 56.3 inches of shoulder room in the rear. The leg room in the front is 40.9 inches and 36.1 inches in the rear. The XC40 brings advanced technology to an extraordinary level. The 12.3-inch infotainment system was created with the most advanced technology available and numerous connectivity features. The display screen automatically adjusts, based on the lighting, which makes it easier on your eyes and safer, especially at night. With a 9-inch user-friendly intuitive touchscreen, the tablet-like screen provides all-access to your entertainment, navigation system, and the latest APP's. There is even a portrait layout with the navigation system that makes it easier to follow your chosen route. The infotainment system is Apple CarPlay and Android Auto compatible. Stop by the Momentum Volvo showroom to test drive the all-new 2019 Volvo XC40! Our dealership is committed to providing superior customer service and assisting in the car-buying experience in every way possible. We've been part of the Houston community for two decades, and it's our pleasure to provide you with a hassle-free atmosphere for your selection process. Momentum Volvo has 25 certified sales associates to choose from and make your experience memorable! See you soon!